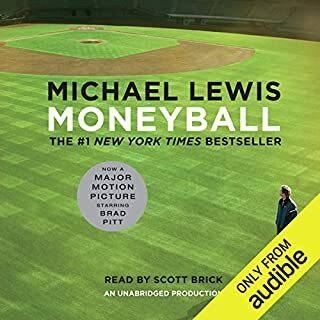 Best-selling author Michael Lewis examines how a Nobel Prize-winning theory of the mind altered our perception of reality. The Undoing Project is about the fascinating collaboration between two men who have the dimensions of great literary figures. They became heroes in the university and on the battlefield - both had important careers in the Israeli military - and their research was deeply linked to their extraordinary life experiences. In the process they may well have changed, for good, mankind's view of its own mind. 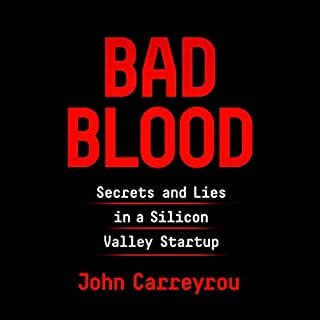 I began this book without knowing it was primarily the history of 2 famous psychologists, as a recommendation to broaden my knowledge of game design. I can recommend it on that basis, but don't be fooled like I was, I spent half the book waiting for the lesson to start but it really wasn't a lesson, it's a biography. Never have I had to stop and think more than with this book. it challenged my entire look at how I li live my life. An esoteric text for those select scholars who have an abiding interest in the union of philosophy and abstruse psychological theory. This wholly inaccessible work is really just a paean to a few of Lewis’ heroes. I found it very disappointing. Tversky and Kahneman are without doubt two of my favorite scientists, all categories. Their ideas are straightforward and easy to comprehend, yet what they showed about our biased thinking is profound and has widespread implications. 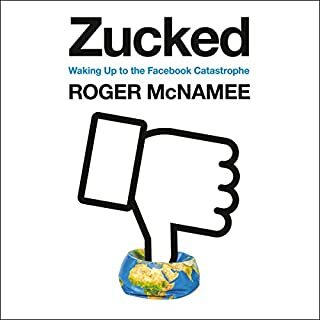 They have explained why politicians and the media tend to favour anecdotal evidence (stories about individuals are more easy to identify with) over statistical evidence, despite the fact the latter is much more relevant. Their theories also have huge relevance in everyday life. For example I am certain that much arguing among couples is due to confirmation bias - I remember every time I pick up my underwear enforcing my self-image as a super tidy guy, whereas my partner tends to remember the times I left underwear on the floor, thus enforcing her image of me as a… not so tidy person. If you are not already familiar with their theories then pick up a book and study as soon as possible. You will not regret it! 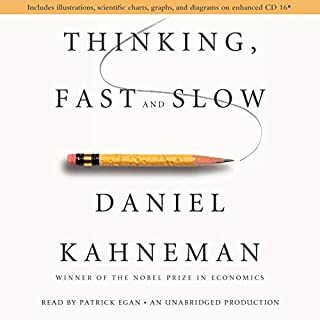 Anyhow, I have read several books about the couple Tversky and Kahneman, including Kahnemans Thinking fast and slow. And yes, as this book will make clear, they were indeed a couple in every way except for the romantic/sexual way. They had some very productive years together and then they had more dramatic years. There is betrayal and jealousy and there is reconciliation. This goes on and on, like an academic version of paradise hotel, until Tversky’s death - which is the reason why he did not get a nobel prize (you have to be alive). 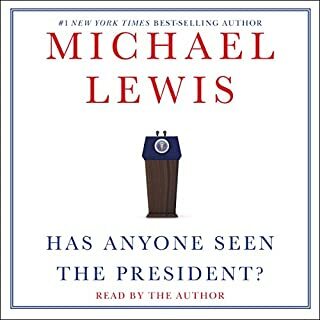 Before I end this review I should also add that the author, Micheal Lewis, is one of the best page-turner producers I know. 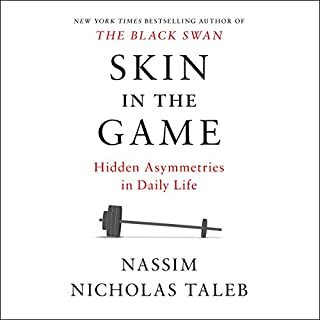 You rarely get bored when you read his books - indeed, he acts in accordance with how Tversky and Kahneman would argue that you get attention; focus on persons rather than stats and facts. In summary, this book will give you an overview of some of the most important and influential theories in psychology and economy, spiced with the personal stories of two academics, written by a masterful author. 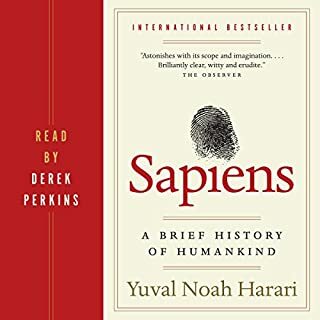 The only reason I am not giving it five stars is because I think “Thinking fast and slow” is better - it focuses more on the theories which I personally like. However, this book was still more accessible. 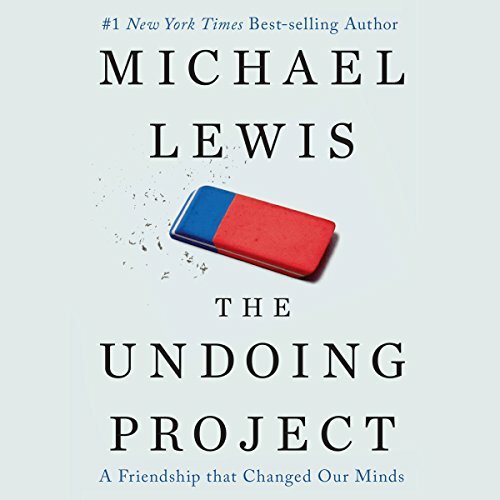 The Undoing Project is a well-written, well-read study of two brilliant psychologists, Amos Tversky and Daniel Kahnemann, who changed the nature of economic theory. The book is fun to hear, as both characters have lively, competitive personalities. Examples of their counter-intuitive experiments in human psychology, tested on dozens or hundreds of students and others, offer challenging games as the book is read. But there is a major drawback in listening to complex material in the car. You can’t rewind, to listen to a challenging section a second time, at least I can’t. So a lot of the author’s insights fade too quickly, as the reader moved on. 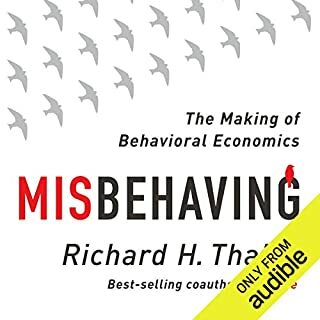 The book is well worth a listen, for the lively personalities, the anecdotes and the frequently lucid explanations of Tversky’s and Kahnemann’s theories. You will finish the book wanting to learn more about their work. I loved learning about two very smart men. 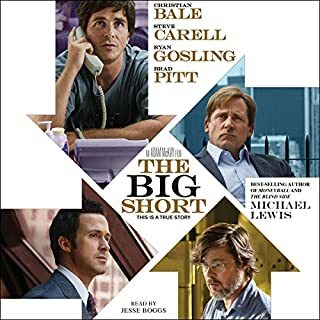 This is biographical about two men Daniel Kahneman (DK) and Amos Tversky (AT). There is a little about their backgrounds. Most of this is about their work, discoveries, and interaction as adults. They had a close partnership for about ten years. That slowed down after they moved to the U.S. and lived in different places. There were many fascinating ideas in this book. I previously read the book Thinking, Fast and Slow by Daniel Kahneman. Some of those ideas were also mentioned in this book. The biggest idea from these two men was that human intuition, opinions, and judgement is faulty, not reliable, not predictable. Most economists were reluctant to accept this. It ruined their supply/demand/market ideas. But eventually they accepted it. Thus the Nobel prize in Economics was given to DK in 2002. Since the Nobel prize is only given to living people AT was not named, but everyone knew he was part of it. One example is doctors. They interviewed doctors asking what they looked for when deciding if something was stomach cancer (or it may have been ulcers, I forget). They came up with a list which they put into a computer. Then they did a study giving test cases to doctors. The computer consistently beat the doctors. And, doctors even disagreed with themselves - when given the same case twice sometimes the doctors would give different answers. Dennis Boutsikaris was excellent. Good job removing his breathing noises. Narrative mode: 3rd person. Story length: 10 hrs and 18 mins. Swearing language: s*** used once or twice. Book copyright: 2016. Genre: biography. dennis boutsikaris has a terrific voice. paired with lewis' trademarked smart story telling, Dennis' reading is perfect. 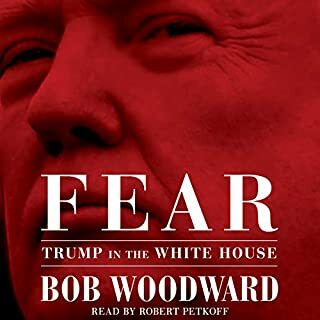 the best of audio books.. I think that what most people love about Michael Lewis is his attention to detail. 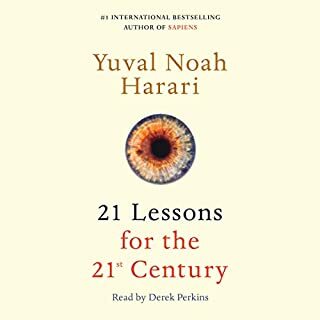 This book goes into the deep thoughts between two Israeli doctors as they discover psychology of the "irrational"consumer. 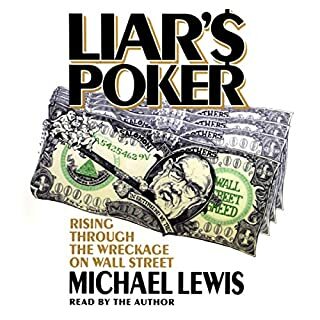 My comments to Michael Lewis will be, great job on the research and the writing! You're an artist the way that you put things together. I expected more details about their research and the data which was collected. There were just a couple of times where I was not clear about what their research was trying to represent. I feel like I need to go back and listen to the book again. 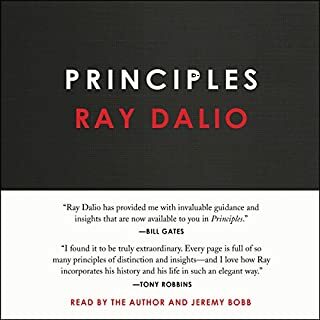 Overall I loved the story of the meaningful purpose between these two men as i have read other books which often quote their work. It is interesting to know about the sweat and tears behind their success. I loved this book. The linkages between the chapters made the complexity of the relationship between Kahneman and Tversky understandable. This book showed me that ego has a powerful presence in everyone. Even though these two men formed an unbreakable partnership and genius collaboration, the friction from the world around them broke them over time. One lesson from the book, is find the value in every relationship and treasure it for as long as you can. 4.5 stars. Absolutely wonderful. 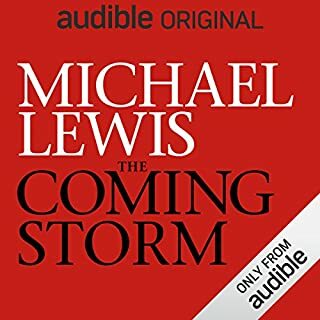 Michael Lewis successfully blends two biographies, an intellectual love story (there really is no other way to describe the Kahneman/Tversky partnership), astute sketches of the work they did (in heuristics and biases), and how the partnership had ripple effects in a myriad of areas (from economics to psychology, from medicine to the military, and beyond). The book moves at a brisk pace, never dull, and fleshes out the men behind the scientific work. 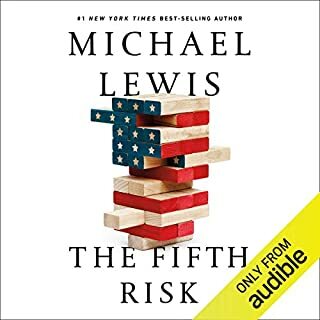 This vantage point into where Kahneman and Tversky came from, the events that shaped them, their intellectual make-ups, and the alchemy of their partnership is a real treat. This added depth to the scientists only makes me appreciate their work all the more. 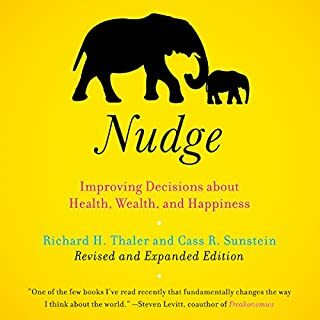 Highly recommended for anyone, but especially those who have read Thinking Fast, And Slow, any book on behavioral economics, or students of how human cognition leads us astray. A fantastic book that I couldn't put down. have to let my historian friend listen. he is always so sure of himself. I'm an engineer and we always need to understand that nothing is 100%. now I know why I always thought that people that were so sure were generally full of it. 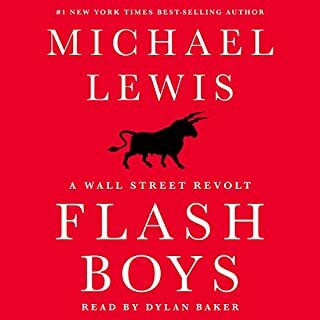 Loved reading about Amos Tversky and Danny Kanneman, as written by the master storyteller, Michael Lewis! 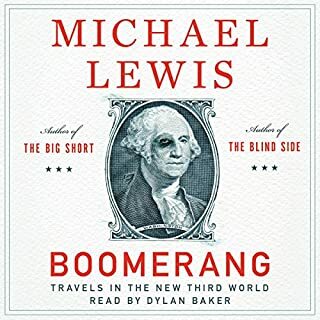 It's amazing that our airwaves are flooded with minute details about the most un-interesting people, and that people like Amos Tversky and Danny Kanneman were unknown to me before reading (listening to) this book. Great story about interesting, and at times heartbreaking lives and issues. I thought I was in for a dry story about using data to make rational decisions. I was drawn in by the story of the lives and relationships of Amos and Danny, and in the process, learned a lot about decision-making processes!